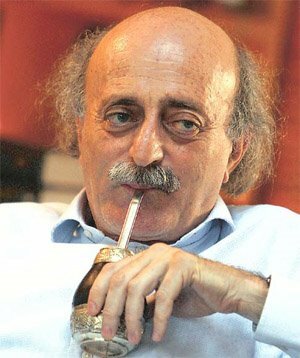 Is Walid Jumblatt Making A Move? Everyone is lazy in Summer, especially Lebanese politicians. In 2012, they were too lazy to draft a consensual electoral law. In 2013, they were too lazy to form a government. In 2014, they’re too lazy to elect a president. But Walid Jumblatt is making an exception this month with his numerous statements and the PSP’s new maneuvers in the parliament and the cabinet. Take a look at them, one by one. Cabinet members told Education Minister Elias Bou Saab that his agreement with the head of the parliamentary Future bloc, former Prime Minister Fouad Siniora, over appointments at the state-run university was not enough and more discussion was required to finalize the issue, sources told The Daily Star. Ministers allied with MP Walid Jumblatt and the Kataeb Party as well as Tourism Minister Michel Pharaon opposed Bou Saab’s agreement with the March 14 coalition, prompting the Cabinet to postpone debate on the issue to the next session, the sources said. “The Cabinet discussed the issue of appointing deans at the Lebanese University and employing some members of the teaching board in it. It decided to continue discussing this issue at the next session next Thursday,” Information Minister Ramzi Joreige told reporters after a nearly five-hour session chaired by Prime Minister Tammam Salam at the Grand Serail. “Speaker Nabih Berri agreed with Progressive Socialist Party leader MP Walid Jumblat that parliamentary elections shouldn’t be staged ahead of the election of a new president. According to al-Akhbar newspaper published on Saturday, the two officials reject parliamentary elections amid the ongoing situation in the country. “I don’t mind … withdrawing the nomination of [Democratic Gathering bloc] MP Henry Helou if the others withdraw their candidates to facilitate a settlement that would end the presidential vacuum,” Jumblatt said in remarks published Tuesday. He urged the various political leaders to put national interests above their own. I don’t like to speculate, and there’s still nothing (yet) to analyze, but Jumblatt is planning something here (Perhaps giving up the Helou candidacy and the cabinet deadlock in exchange for the extension of the parliament term). As demonstrated by his three stances, he currently holds the keys to the presidential elections, the extension of the parliament term, and the administrative appointments. And he’s going to use these three negotiation cards very carefully in order to take full advantage of his kingmaker position. Reminder: We still don’t have a president – 52 days since the 25th of May.